"Sampath Speaking" - the thoughts of an Insurer from Thiruvallikkeni: Arsenal defeats FC Koln ~ warlike .... Australia unveils five-year strategy !! Arsenal defeats FC Koln ~ warlike .... Australia unveils five-year strategy !! Alexis Sanchez scored a stunning goal as Arsenal came from behind to beat Cologne in a Europa League match delayed for an hour following crowd trouble.Chilean Sanchez, who nearly left the club to join Manchester City on transfer deadline day, picked the ball up outside the area and curled a shot past keeper Timo Horn. ~ what is so interesting in that ! – it was a league match, one tends to ask – but for Europe, it was akin to a war .. .. The month-long limited-overs campaign that Australia undertakes in India from 17th Sept 2017 starting with the encounter at Chepauk stadium, is likely to be among the last of its ilk if ambitions for a global ODI league table, already in advanced planning, are brought to fruition. The reigning World Cup champions has arrivbed India to begin a series of five ODIs and three T20 Internationals against India, a schedule that will be largely replicated in the UK next June when Australia tackles England in five ODIs and a 20-over fixture. Australian Cricket recently launched its next five-year strategy, which provides direction for the sport around the country. Among the key themes are a focus on women and girls, grassroots and junior cricket, and growth in the Big Bash Leagues. The new strategy has been devised after more than 12 months’ consultation with all parts of cricket, from volunteers and club members through to players and administrators. The strategy applies to Cricket Australia and all eight State and Territory cricket associations. The chief executive officer of Cricket Australia, James Sutherland, said the combined organisations had set out to make the strategy the most inclusive ever in Australian sport. “More than 8000 people across cricket have been involved in the preparation of this strategy, and they in turn have represented the millions of Australians who watch and play the game. Back home, the news for Indian fan is - : Shikhar Dhawan will not play the first three ODIs against Australia. A press release from the BCCI said the India batsman has asked for leave to take care of his wife, who has taken ill. The selectors have decided not to name a replacement for Dhawan, with back-up openers KL Rahul and Ajinkya Rahane already in 16-man squad. India do have to contend with losing a player in excellent form though. He had missed the ODIs against New Zealand in 2016 - and played only two of three against England that followed - but since his return to the top of the order in the Champions Trophy, he has made two centuries and four fifties in 14 innings. Dhawan had to miss the final ODI and the only T20 in the Sri Lanka tour earlier this month to fly back home to attend to his mother who had been unwell. 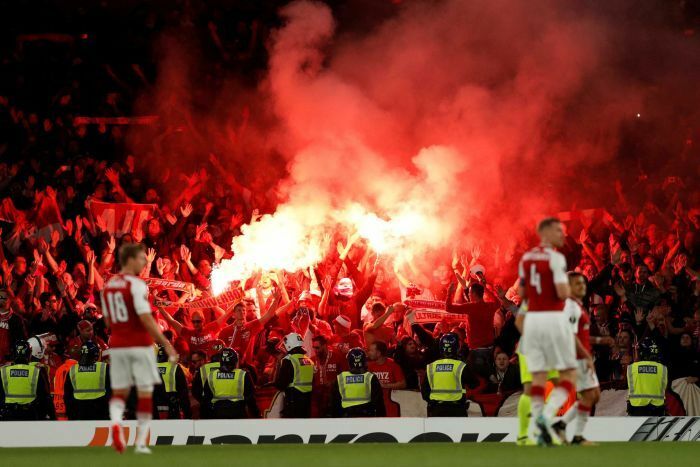 Away in London, unprecedented violence inside and outside the Emirates Stadium between Arsenal and FC Koln fans nearly saw their Europa League game cancelled… .. Up to 3,000 away tickets were sold but an estimated 20,000 German fans descended upon the Emirates ahead of kick-off. 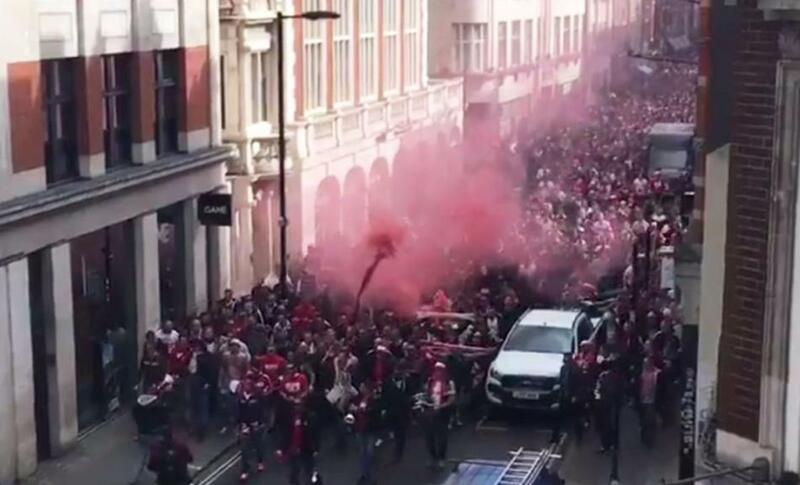 This led to congestion and clashes with police, stewards and Arsenal fans before the game.The match was postponed for an hour, starting instead at 9.05pm, and only a late decision determined that it would go ahead at all. Arsenal, the Metropolitan Police and Uefa decided that the “best and safest” option was to play the game, given the difficulty of dispersing tens of thousands of German fans, and the likely trouble that would cause. Thousands of Koln fans had initially bought tickets for the game in the sections designated for Arsenal fans. Many of them were seen disguising themselves as Arsenal fans for the occasion. Stewards trying to identify German from English fans led to mass blockages at the gates, which in turn caused crowds to swell outside, predominantly on the Drayton Park side of the stadium. Some of these fans tried to push through barriers and gates to get in, sparking clashes outside. The Metropolitan Police were forced to deploy more police officers beyond their initial 110 given the scale of the violence. The police said in a statement: “Officers are dealing with disorder at the Emirates Stadium where fans have gathered for the Arsenal vs FC Koln match. When the Koln fans eventually started to pour into the ground, many started to move towards the designated away end in the south-east corner of the ground. As they tried to clamber over the barriers between the away and home sections in the Clock End, there were further clashes with security staff. Arsenal would have felt playing away from home in an alien atmosphere with so much support for their opponents at their home – but the match — finished 3-1 in Arsenal's favour — featuring two very peachy goals that were worth the wait. Arsenal face London rivals and Premier League champions Chelsea on Sunday (kick-off 13:30 BST), while Cologne will look to pick up their first points in the Bundesliga when they travel to Borussia Dortmund on the same day (kick-off 17:00 BST). This was Arsenal's first European match outside of the Champions League (including qualifiers) since May 2000 - 17 years and 120 days ago. Cologne lost a competitive game that they were winning at half-time for the first time since December 2014 (1-2 v Augsburg). Chelsea took to a much more unorthodox method to their preparations for their clash with Arsenal, as giant blue yoga balls were seen flying across their Cobham training ground. The Blues ran out 6-0 victors at Stamford Bridge on Tuesday night and face another crucial clash at the Bridge with Arsenal on Sunday.